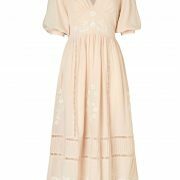 The Evelyn Midi Dress in Champagne by Steele is a gorgeous flowing maxi crafted from a luxe cotton material. Featuring intricate embroidery along the cinched waistband, sleeves, skirt panelling and hemline. 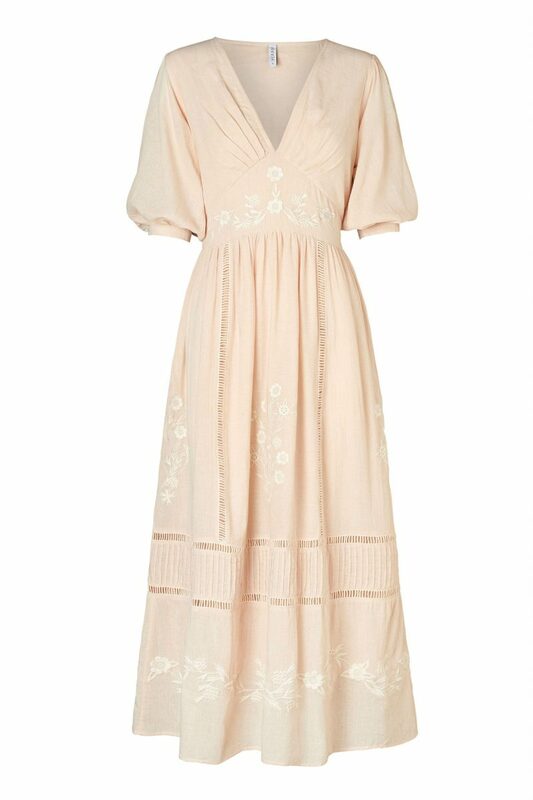 Showcasing a flattering V neckline this dress is stunning, elegant and whimsical all at the same time.